Home › Project Highlights › Is it 2012 yet? The end of every year brings the promise of a better year to come. Many begin to plan out their obligatory, “New Year’s Resolutions,” which usually range somewhere between losing weight to quitting their job and volunteering in Kenya. No matter how you slice it, people want to start each year from scratch, with a clean slate, and with an opportunity to reach goals that might have been abandoned during the previous year. New Year’s Resolutions stem from all of us wanting to kick old vices to the curb and improve our lives, which explains why so many resolutions are similar and really don’t change much over the years. 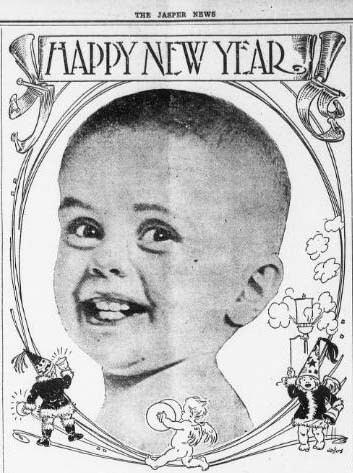 Take for example this New Year’s cartoon from the Wichita Daily Eagle. Two men vow to quit smoking for the New Year, placing a $50 bet on the resolution. One of men must smoke, so he takes a small blimp up in the air where his friend will never catch him. But the blimp catches fire when he lights his cigarette, falling to the ground where he is caught in the act by his friend. 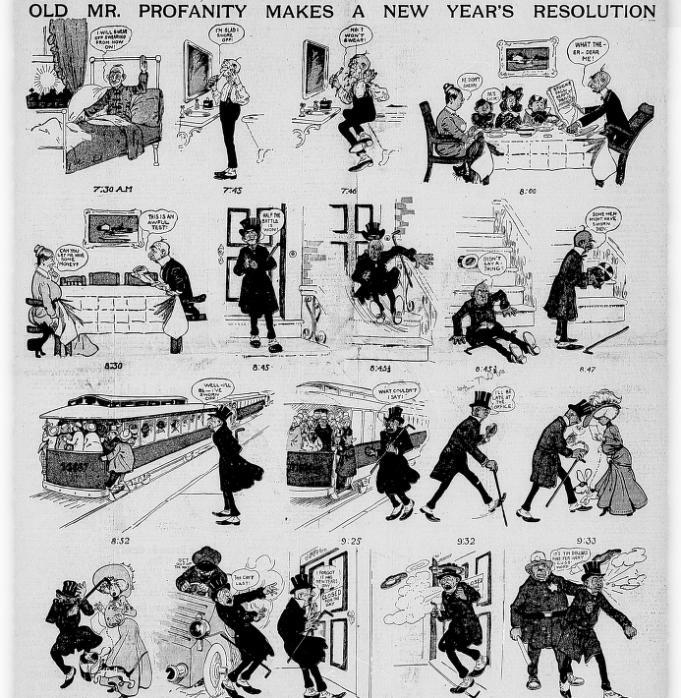 And in another New Year’s comic, a man resolves to stop swearing, but from the time he wakes up until he arrives at work he is put in many situations that would provoke him to swear. 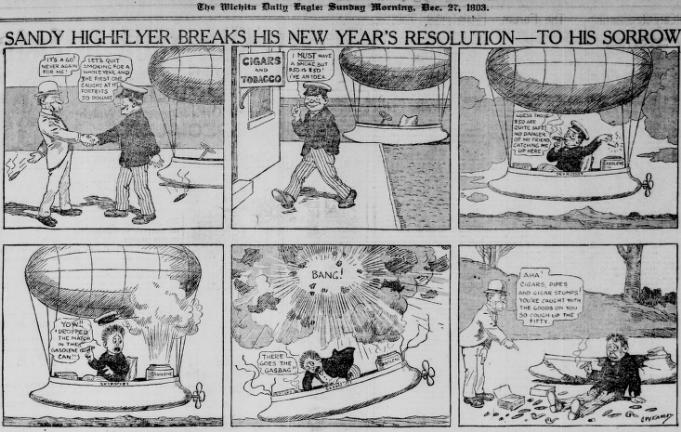 Many people, like the characters in these comics, fail to keep their resolutions for very long, so it’s always encouraging to see when people actually succeed at their intentions, as unusual as their resolutions might be. 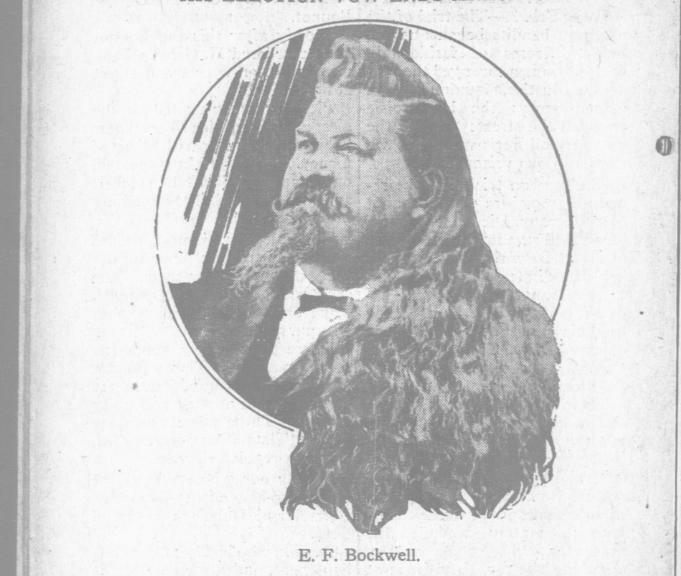 This gentleman resolved to not cut his hair until a democratic president was elected and has the mane to prove his dedication. 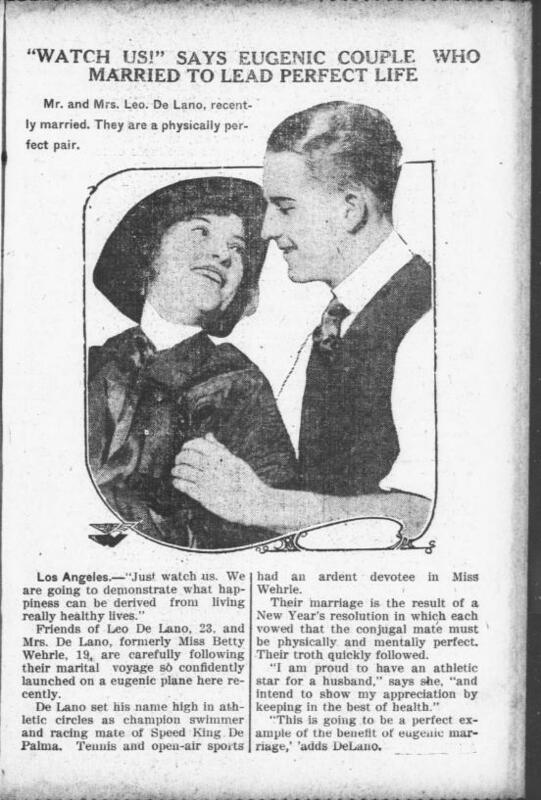 Or this Eugenic couple, who vowed to be physically and mentally fit in order to improve the genetic make-up of the human population. There is always the hope that the New Year will bring joy and promise to all, no matter what their resolutions may be. From all of us at the Oregon Digital Newspaper Program, Happy New Year!